At Manadon Vale Primary School, we are a community of active learners. We will be challenged and inspired on our journey to becoming responsible global citizens of the future. We take every opportunity to be the best that we can be. We are each part of a team, collaborating to achieve our best. We will be resilient, learning from our mistakes and life’s challenges, never giving up and seeing things through. We will encourage our natural curiosity, finding out about ourselves and exploring the world around us. We will understand how to keep our bodies and minds happy, healthy and safe. We are proud to be a founding member of the Connect Academy Trust. Please click below to see the overarching values of the Connect Academy Trust. To exceed our attendance targets. 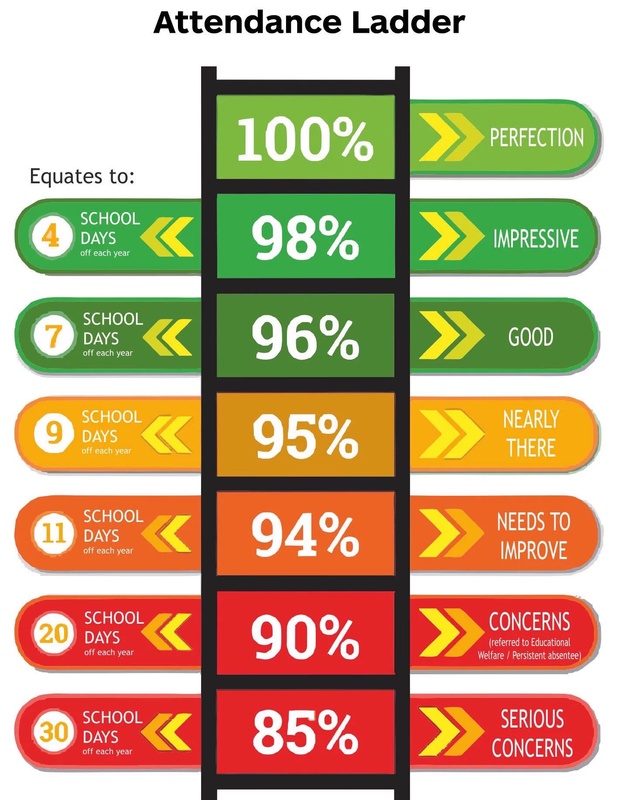 Please find below the Connect Academy Trust's Attendance Policy and the Attendance Ladder which shows the impact of absence on the number of days in school. We have used the key indicators set by the Government to inform our decisions on how to spend the funding and to help us to assess the impact on pupils’ PE and sport participation and attainment.